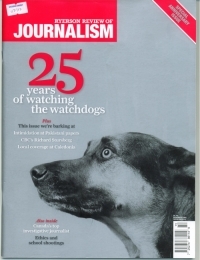 The header image represents the willingness of non-native activists to speak out not only for residents of Caledonia and Ipperwash, but also for aboriginals victimized by the same racial policing policies that have devastated non-native communities. 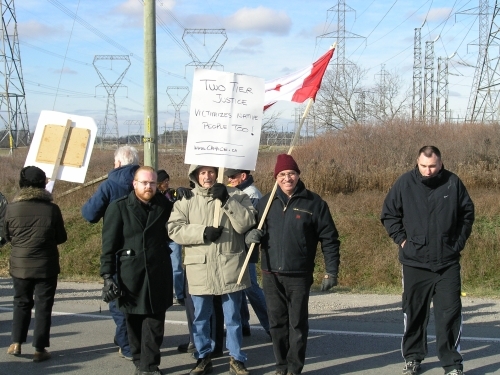 The image is cropped from a photo (click to enlarge) taken on December 01, 2007 at a protest organized by Caledonia resident Doug Fleming against an illegal smokeshack located on the outskirts of town selling cigarettes to the town’s children. The sign ‘TWO TIER JUSTICE VICTIMIZES NATIVE PEOPLE TOO!’ was created by CVP founder/CANACE co-founder Mark Vandermaas for the Oct 08/07 pre-election ‘Remember Us’ March in Caledonia where he gave a speech entitled, Natives are Victims of Two-Tier Justice. It is being held by CANACE co-founder Merlyn Kinrade who is flanked on the left by CANACE co-founder Jeff Parkinson and by longtime CANACE supporter Jim Anderson on the right. 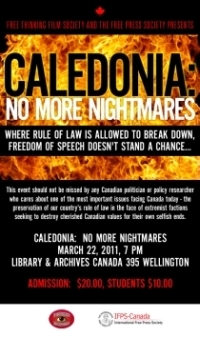 CANACE founders have repeatedly spoken out on behalf of the native victims of racial policing/two tier justice policies that have allowed occupations in both Ipperwash and Caledonia to become lawless “home-free zones” as residents refer to them. See the reference links below for more information. Occupation sites have been the sites of rapes, assaults, drug use, arson, and firearm violence. 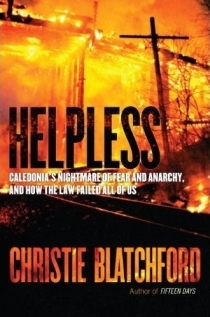 It is an ironic fact that in both Ipperwash and Caledonia the original occupiers eventually became afraid of the lawlessness that took hold after their own lawless occupations. Shortly after this picture was taken Six Nations smokeshack supporters launched a series of unprovoked assaults on non-native protesters and police. Mark Vandermaas was pushed down into a ditch, but was uninjured. 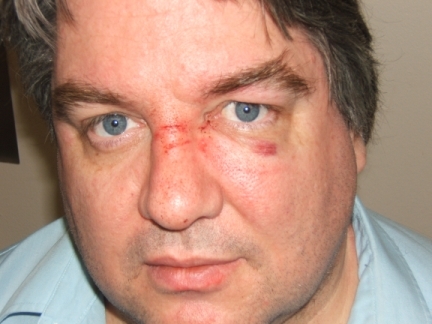 CANACE co-founder Gary McHale was repeatedly assaulted by various Six Nations people, including one woman who falsely accused him of assaulting her – before she assaulted him. 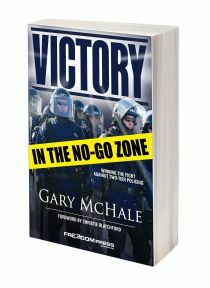 A Six Nations man led the final assault – a vicious swarming attack – by jumping on Mr. McHale’s back. As he lay on the ground other Six Nations people kicked and punched him, breaking his glasses, bloodying his face, and bruising his ribs and foot while screaming to kill him. 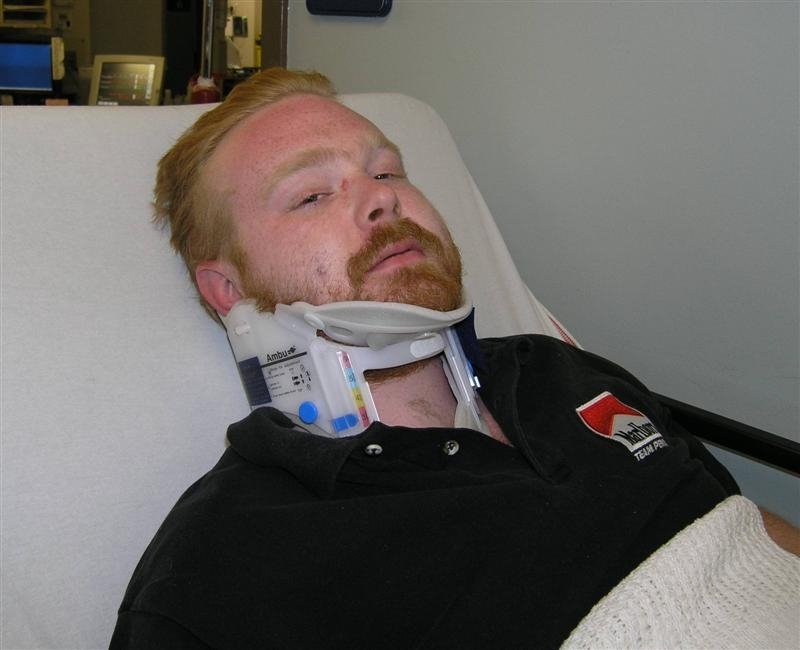 Jeff Parkinson was thrown to the ground during the melee and knocked unconscious. Both Mr. McHale and Mr. Parkinson were taken to hospital. Mr. Parkinson suffered a brain injury the effects of which linger to this day. 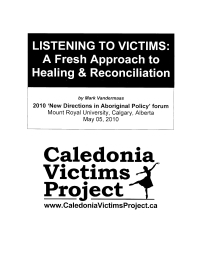 This picture was included in Mark Vandermaas’s presentation at the 2010 ‘New Directions in Aboriginal Policy’ forum on May 05/10 at Mount Royal University, Calgary, Alberta.